If you’ve developed a crazy heartbeat and undergone a battery of cardiac tests, you’ll realise how precious health is. Without beloning to a medical scheme, such as Genesis medical aid you’ll also realise how expensive it is. The best investment you can make is to invest in your health. Unexpected adverse events like a heart attack can bring your life to a swift end. If you survive, your treatment could bankrupt you. The purpose of a medical aid is to ensure you get the best medical treatment available so that your life can be prolonged. With Genesis Medical aid, members get to choose between two full cover medical aid plan benefit options. Their names are Private Plus and the Private Comprehensive options. By joining a good medical aid scheme you won’t have to sell your house to pay for medical treatments. Genesis medical aid benefit options offer some 22% better value or are 31% cheaper than the average equivalent options of other open medical schemes. But what is medical aid and what must one look for in a medical aid? Most South Africans are just looking for affordable health insurance quotes which will satisfy their unique lifestyle. With Internet resources you get medical aid comparison sites and get a quote comparison within the space of an hour. Most of the best, leading medical aids in South Africa such as Genesis Medical Aid have their own websites with all the medical details you need to make your decision. A medical aid such as Discovery Health, Liberty Medical Aid, Momentum Medical Aid and Genesis Medical Aid offer a type of insurance scheme. They help you with getting the best medial treatment without having to pay out your own pocket. For this service, as a member, you will pay a regular monthly contribution. Medical aids pay for all those costly things that you would not normally be able to afford. Dentist bills, medicines and treatments, hospital visits, trips to the doctors…these can all break a person financially. Genesis Medical Aid isn’t as large as Momentum Health or one of the other large medical aid schemes such as Discovery Medical Aid.They are however, a trusted medical aid with high levels of solvency. Everybody is looking for an affordable, low premium medical aid but which also has the right benefits. Genesis Medical Aid is a leader when it comes to low contribution increases coupled with increased benefits for their members. Affordable medical schemes are stress free because you’re able to pay the premium with ease. Medical schemes differ tremendously. It will be beneficial for you to compare each one. You can also get a professional medical aid consultant to explain in more detail how it can benefit your lifestyle and budget. From affordable hospital plans to more comprehensive medical aid, Genesis offers solutions. 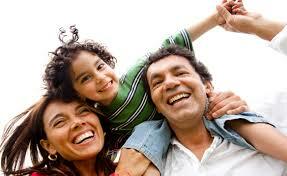 Genesis Medical Aid is able to offer members excellent medical cover with affordable contributions. Genesis Medical Aid has been providing excellent medical aid cover since1995. They are one of South Africa’s leading medical schemes, offering exceptional value for money medical aid and hospital plans. They offer their members two hospital plan benefit options which are known as Private Choice and the Private benefit options. If you have kids, you’ll be able to benefit from their low cost child contributions. Genesis Medical Aid is proud to be able to resolve any queries within 24 working hours. Requiring a minimum solvency of 25% from the Medical Schemes Act, Genesis Medical Aid has in excess of R300 million. This is 5x more than the legal minimum required by the Medical Schemes Act. This enables them to achieve a high claims paying rate. With Bestmed, you are required to use designated network medical providers. Genesis members have the freedom to choose their own preferred hospital or doctor complete with the choice of a funding model. The Scheme’s passion is to deliver exceptional client services. Genesis promises to treat their members like real people, allowing them to speak directly to any one of their consultants when they call the contact centre.